Danielle and Chantelle Dwomoh-Piper are Models, bloggers and Designers based in New York.Since the start of their journey in fashion they have been blazing the fashion trail with features in WWD,Elle SA,Essence,HuffingtonPost, Lucky Magazine, Marie Claire, Buzzfeed and The New York Daily Newspaper, as well as appearances on the Rachael Ray Show, NBC’s Today Show, Good Morning America, and placements in Vogue Japan and so much more. Their designs have also been exhibited at fashion weeks all over the world, including New York Fashion Week, Arise Magazine Fashion Week, Glitz Africa Fashion week in Ghana, Caribbean International Fashion Week, Fashion week in Los Angeles and their talent has been recognized on a wide array of media platforms in New York and beyond. Celebrities such as Lupita Nyong’o Jojo, Chrisette Michele,Angela Simmons,Miss Universe 2011 Leila Lopes, Karen Civil, Towanda Braxton and others have been spotted wearing their designs. 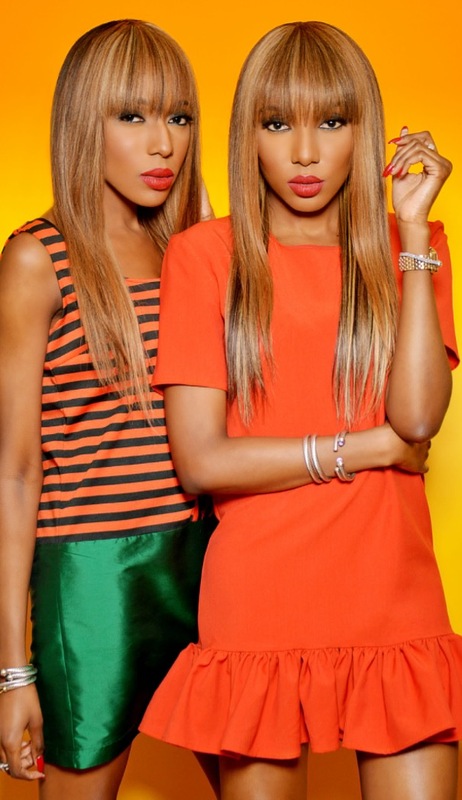 Born to a Caribbean mom and an African dad, the DPiperTwins embrace their roots and display it in every collection through a bold and vibrant combination of colorful African print designs. They were born in New York but raised in Ghana and later came back to the United States to pursue their dreams. They graduated from The High School of Fashion Industries as well as the prestigious Fashion Institute of Technology with their bachelor’s degree. After graduating,Chantelle interned at Shwartz & Benjamin,which is the showroom for DVF and other brands where she worked alongside the design and marketing team. Danielle interned at Marchesa and Maggie Norris Couture, where she sharpened her skills with hands on experience. They have used their platform to highlight brands they love. As fashion bloggers/ innovators in this industry, they have partnered with brands such as Keds, Teva, Budweiser and Chinese Laundry just to name a few. As part of their efforts to give back, the DPiperTwins have raised funds for several non-profit organizations. They have also done charity fashion shows for Sickle Cell Anemia organization SYNC, Nyaka Aids Orphans School and New Life Orphanage in Ghana. Annually, they use a portion of their sales to purchase toys, clothes, books and other supplies for an organization in need. Recently, they spent their birthday at New Life Orphanage home in Ghana and New Years at a Village in Ghana where they gave numerous gifts to children . They hope to one day create their own non-profit organization to help further their goal of bringing smiles to the faces of people globally through their joy of fashion.